Sokolova, Tatiana. “Scientist as Fiction Writer: Soviet Science-Fiction and Space Exploration.” Social Epistemology Review and Reply Collective 4, no. 1 (2014): 3-13. Editor’s Note: Tatiana Sokolova graciously provided us with the notes to a presentation she gave at the “Interprofessional and Interdisciplinary Relations in Russia” conference on Friday, September 19, 2014. The presentation notes are presented here. The successes of the Soviet space programme (Satellite-1, the first man in space, and the first man in open space) are often considered to be the consequence of the arms race during the Cold War. This paper will aim to show that, at the ideological level, these successes were based on the synthesis of two seemingly contradictory philosophies: on the one hand, the philosophy of Russian Cosmism (especially in the version propounded by K. Tsiolkovsky), with the idea of man’s responsibility before all rational beings in the universe; and, on the other, the Marxist thesis about the elimination the gap between manual and intellectual labour. Such a synthesis was possible thanks to the general orientation of both Marxism and Cosmism to build a new society organized on scientific grounds. Such a society demanded a new type of man, who did not only have advanced technical skills and scientific knowledge, but also had particular moral qualities, such as strong faith in humanity, readiness for self-sacrifice, and the courage to explore outer space. These qualities, as well as highly sophisticated (yet nonetheless fantastical) technologies, were brought together in the science-fiction literature written by Russian scientists (including K. Tsiolkovsky, A. Beliaev, I. Efremov and many others), who in such works did not confine themselves to the simple popularization of the hard sciences. Inspired by Tsiolkovsky’s ideas, Soviet engineers and scientists (F. Zander, Y. Kondratyuk, S. Korolev and others) opened the new era of USSR’s space exploration. Thus, the paper will examine the interaction between philosophical ideas and technical achievements based on an analysis of Soviet science fiction literature from 1920s to 1957 (the year of the launch of Satellite-1), as well as of its critics from the scientific community. Fiction before reality. Literature (fiction) can and often do lead the role in the process of reality rearrangement. Due to the dreams, ideas and plans proposed by great writers, not only artists, but also scientists discover the sources for technical resolutions and accelerate the progress of scientific thought. People resources. Technical innovations don’t create themselves. To develop the progress in sciences a society need a very special kind of people, inspired to follow the path of new ideas and to search the truth. K. Tsiolkovsky’s ideas on space flights (and even on air flights) were dreams and not plans because of serious mistakes in calculations. 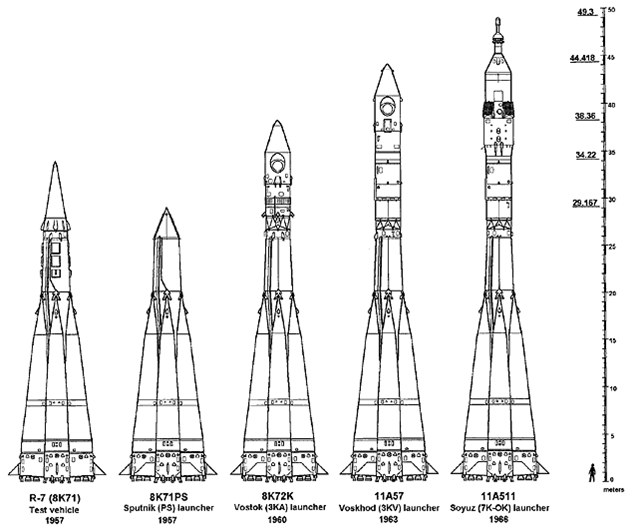 S. Korolev was capable to build R7 Rocket and Satellite 1 only because he got German drawings of V-1 and V-2 (A4). Conclusion: Soviet engineers had no real scientific base for space exploration, but military needs after WWII made USSR’s government stimulate the rocket construction. The side product of this completely military race was Soviet space program. We suppose that it is not the only one possible explanation for USSR successes in space. Through the Soviet sci-fi literature we can see the development of ideas and tools, which became real in 1960s. The first half of 20th century was not a plausible period for Russian science: 1905 Revolution, WWI, civil war, intervention and WWII. Nevertheless from the very beginning of 20th century and during all the political catastrophes the idea of space exploration always survives in fiction and in science. Why? a new scientific (i.e., solid) way to make this picture come true. 1919 N. Tikhomirov proposes to organize a laboratory for the development of powder rockets;“To those who will read to build” by Y. Kondratyuk (published in 1964). 1920 “Riches of the Universe” by K. Tsiolkovsky published. 1923-1924 Aelita by A. Tolstoy (civilization on Mars) and Yakov Protozanov’s film;The Society for Studies of the Interplanetary Travel, OIMS, is founded in Moscow; Tsiolkovsky’s work “Rocket into cosmic space” describes multi-stage rockets;Tsander publishes “Flight to Other Planets”.Tsiolkovsky, Tsander and Kondratyuk propose the use of the atmosphere as a breaking medium for the spaceships returning to Earth. 1921 A.F. Andreev requests a patent for a portable personal flight vehicle propelled by a liquid engine burning oxygen and methane;Tikhomirov’s rocket development lab in Moscow. 1927 The world’s first exhibition of technology for interplanetary travel opens in Moscow;Engineers at Tikhomirov’s laboratory propose to use solid-propellant motors to assist in the aircraft takeoff. 1928 Tikhomirov’s lab conducts test launches of rockets, burning smokeless powder, reaching range of 1,300 – 1,500 meters. 1930 The first test of a liquid-fueled engine developed by F. Tsander.V. Glushko develops the first Soviet liquid-fuel engine, ORM-1. 1931 Group for Study of Rocket Propulsion, GIRD, is formed in Leningrad. Mos-GIRD led by F. Tsander is established in Moscow. 1933 Tsander starts testing the 50–kilogram OR-2 engine burning benzene and liquid oxygen.A rocket with a hybrid engine GIRD-09, designed under leadership of M. Tikhonravov is launched.Moscow-based Scientific Research Institute for Jet Propulsion (RNII) by the order of the Revolutionary Council, Revvoensovet.GIRD-X rocket with a liquid-propellant engine is launched near the town of Nakhabino reaching 70-80 meters. 1936 RNII initiates development of the ORM-65 engine with the thrust of 175 kilograms.Official test firing of the ORM-65 engine for the RP-318 rocket glider and the 212 cruise missile at RNII.RNII conducts a test launch of an 217/p anti-aircraft winged missile with a solid-propellant engine. 1939 An experimental cruise missile 212 powered by the ORM-65 No. 2 engine is tested in flight. 1940 The RP-318-1 rocket-powered glider, originally designed by Korolev, is tested in flight and reaches a speed of 200 km per hour. 1948 Tikhonravov presents a report “Means of reaching long range of firing with missiles.”The R-1 (the Soviet copy of German A-4) is launched for the first time.S. Korolev discusses a possibility of launching dogs on ballistic missiles with the expert in aviation medicine V.I. Yazdovsky. 1949 The first R-2 ballistic missile is launched. 1950 S. Korolev officially becomes a chief designer of OKB-1, the developer of the Soviet long-range ballistic missiles. Within R-3 ballistic missile program, Korolev team studies a multistage version of a rocket capable of launching a satellite.1RB rocket with dogs Mishka and Chizhik to the altitude of 88.7 km is launched whose cabin then parachutes safely back to Earth after experiencing an acceleration of 5.5 g during the ascent. 1951 The launch of the “geophysical” rocket in the USSR carrying live animals onboard. 1952 The final test flights of the R-2 ballistic missile. 1955 The NII-4 research institute issued a preliminary report No. 571 on the Subject No. 72, entitled “The research on the issue of creation of artificial Earth satellite“ commissioned by Korolev. 1957 R-7 completes the first successful test flight.World’s first artificial satellite is launched. Konstanin Tsiolkovsky – occasional sci-fi author, but mainly scientist and philosopher. His ideas of space explorations and proposals of rockets and spacecrafts was the main source of inspiration for almost all the sci-fi writers of this period. Alexander Belyaev – inspired by Tsiolkovsky’s ideas, he writes sci-fi novels on space exploration and aircraft construction, trying to describe the life on a space ship or a space station. Most of his novels contain a philosophical debates on technical development. Ivan Efremov – one of the most famous Russian sci-fi writers. His book “Andromeda” is now considered as a boundary mark for Soviet sci-fi literature. Near target sci-fi – oriented to present achievements of science. (e.g. “Airship” by A. Belyaev). After 1957 when “Andromeda” was published, the debates on near and distant target science fiction were stopped. The winner for a long time was distant target science fiction. Ergo: as a rational being humans should explore the space to find out about another rational forms of life to make a contact with them. But this scientific aim is also a moral aim, because (as Tsiolkovsky supposed) the true scientific mind is also a moral mind. That’s why the science of space exploration is also an ethic of space exploration. Marx’s main idea about elimination of the distinction between hand and intellectual labour was the basic idea for many sci-fi writers. Elimination of this distinction in all the spheres of work could also eliminate “routine work,” because till this moment all types of work will require intellectual abilities. As the opposite to the old type of scientists, both ideas of Cosmism and Marxism creates a new type, which was incarnated in engineers. As a scientists engineer has rich scientific background, but he is also a worker, capable to realize his own theoretical projects. “They were friendly, but as she said, I was only a “cabinet scientist” with limited interests, hesitating mind and old man’s habits like sitting all day in my lab” (Bibl. 4, P. 162). One the one hand, an engineer has education, cultural needs and can share scientific and cultural values. On the other hand, he does not try to escape physical labour and understands it’s importance. Scientists, inspired by these ideas (and not pragmatic or commercial interests) were capable to create USSR’s space technologies, which are still considered as important achievements in the history of science. 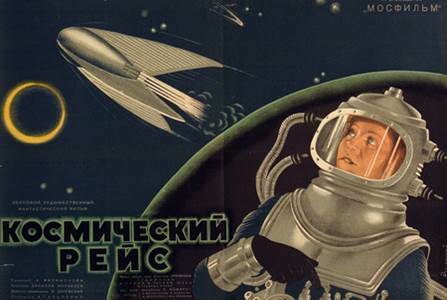 The philosophy of both Soviet science fiction and space exploration was developed in the frame of Soviet Marxism. But even when Marx’s philosophy in former USSR was abandoned, the Great projects in science based on the Cosmism and Marxism remain relevant to the present scientific needs. On a par with commercial needs they create human resources to develop scientific projects. 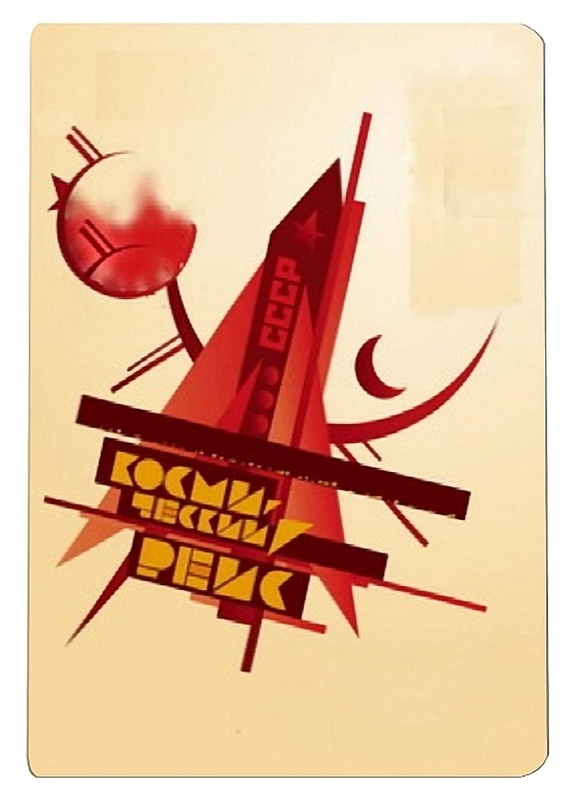 For this reason we can say that in the case of scientific exploration (and especially space exploration in USSR) political ideology and political aims during Cold War was not the main source for Soviet space exploration. Russian Space Web – contains all sorts of information on every event in space exploration from XIX century till now (in English). Laboratoriya Fantastiki – almost everything on science fiction (in Russian). Fandom.ru – Archive of papers on science fiction (in Russian). RTC.ru – Encyclopedia Cosmonautics (on-line edition of А.И. Мелуа “Ракетная техника, космонавтика и артиллерия. Биографический справочник“). Efremov I. Andromeda. “A Space-Aged Tale.” Translated from Russian by George Hanna. Moscow: Foreign Language Publishing House, 1959. Беляев А. Воздушный корабль // Беляев А. Собрание соч. в 9 т. Т. 6. Беляев А. Прыжок в ничто // Беляев А. Собрание соч. в 9 т. Т. 6. Беляев А. Звезда КЭЦ // Беляев А. Собрание соч. в 9 т. Т. 7. Брандис Е., Дмитревский В. Орбита большой мечты // Октябрь. – 1961. – № 11. – С.201-207. Иванов С. Фантастика и действительность // Октябрь. – 1950. – № 1. – С. 155-164. Лагин Л. Без скидок на жанр // Литературная газета (М.). – 1961. – 11 февр. – С.1-2. Циолковский К. Вне земли. М., 2012.